The Darkmoon Faire has rides, tasty treats, and contests galore which can earn you some truly special prizes to add to your toy collection. If you’ve got the right stuff, then we suggest taking flight for the Firebird’s Challenge. 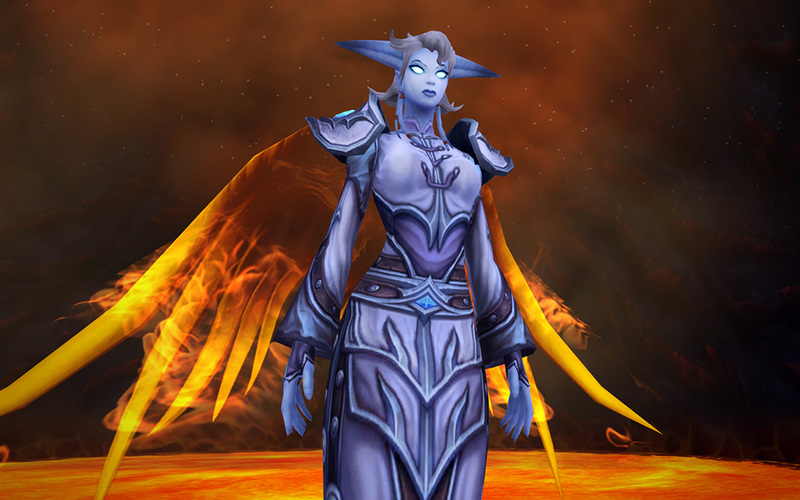 This event only requires you to collect (fly through) 15 rings to be successful, but if you truly want to earn your Blazing Wings (and the achievement Brood of Alysrazor), you’ll need to collect 50 rings. Speak to Ziggie Sparks and pay your entry fee to get started—good luck! There’s some real need for speed to earn the next toy on our list: the Everlasting Darkmoon Firework. With this toy in hand, you’ll be able to take a little piece of the Faire with you anywhere and earn the achievement Taking the Show on the Road. In order to snag this toy, you’ll have to enter the race located at the end of the isle and get Rocketeer: Gold in the quest The Real Race. This requires you use the Rocketeer and get 11 tolls with it. 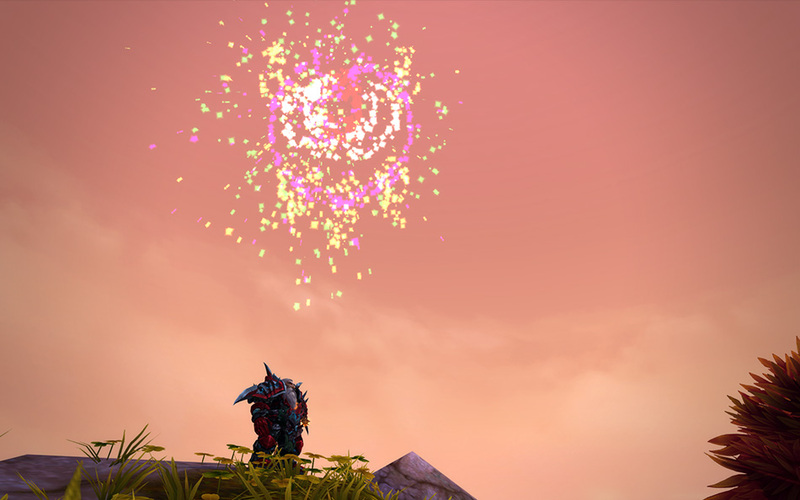 "Shoots a firework into the air that bursts into the Darkmoon Faire logo." You’re going to need nerves of steel and a keen strategy to take it all the way to the checkered flag. Despite the festive atmosphere within the Darkmoon Faire, if you start ranging out away from the noise and the crowds, you begin to see a different side of the area. It’s dark here and there are creatures with big sharp teeth (no, not that one). To get the next toy on the list you’re going to want to get in touch with your inner hunter and take on Moonfang. 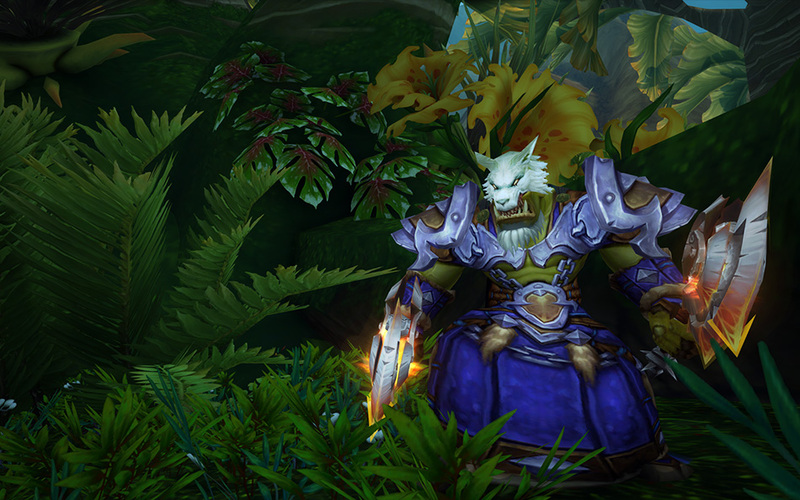 Take him down, and you may just get lucky enough to add Moonfang’s Shroud to your collection. "Drape Moonfang’s pelt over your head or helmet." Your friends are going to be so impressed. If you’ve just started your toy collection as of our first Toy Box Tuesday, then once you add these toys to your collection, you’ll be 9/50 toward the first Toy Box Collection achievement, Having a Ball. Players will find the Toy Box within the Collections interface, which can be accessed via your lower nav bar or by the keyboard command Shift-P. To add a toy to your collection, simply right-click it in your inventory. Once added to the collection, you’ll be able to access it at any time within the Toy Box interface. For additional information and tips on getting started on your collection, check out the guide on Wowhead.